Shaped overlay adds even more glam style to this accent cabinet/console with tempered mirror doors. 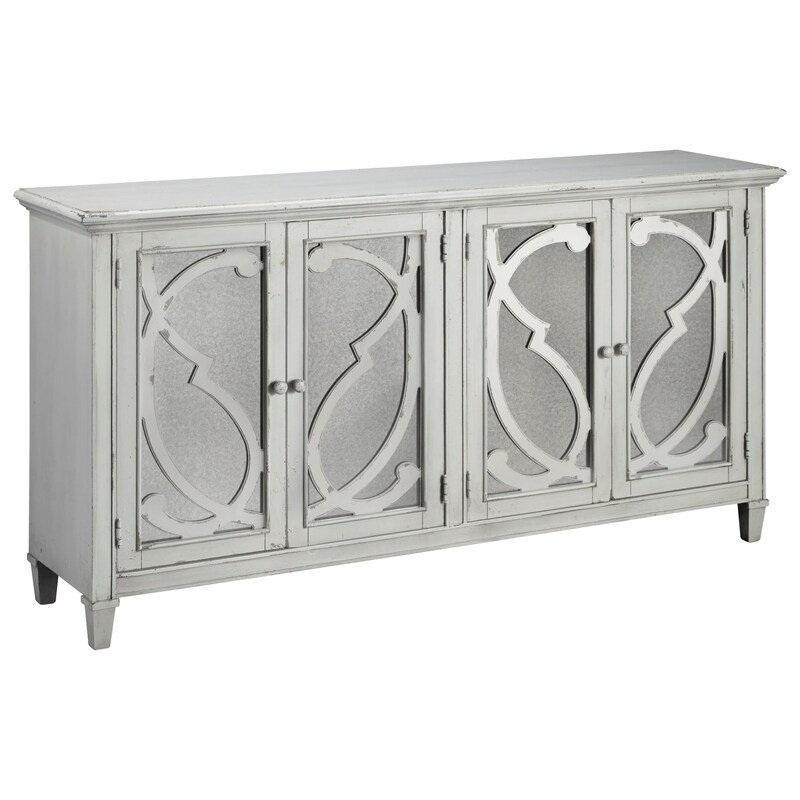 Its distressed textured gray finish, classic molding, and tapered feet make it a beautiful way to add concealed storage to any living space in your home. Adjustable shelves behind the doors provide function to the accent cabinet. The Mirimyn Door Accent Cabinet in Gray Finish with Mirror Doors by Signature Design by Ashley at Miskelly Furniture in the Jackson, Pearl, Madison, Ridgeland, Flowood Mississippi area. Product availability may vary. Contact us for the most current availability on this product. The Mirimyn collection is a great option if you are looking for Relaxed Vintage Relaxed Vintage Cottage Cottage furniture in the Jackson, Pearl, Madison, Ridgeland, Flowood Mississippi area.